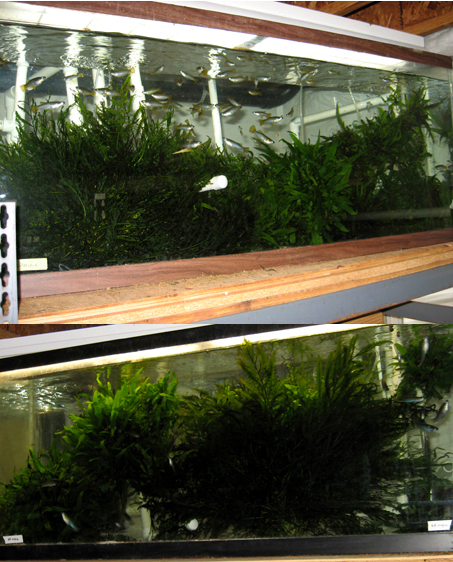 Vallisneria (V. torta), and Sagittaria (S.gigantea). immediately and caught, removing the plants as necessary. Java fern clumps are on the left. also responds well to using fertilizer, as all plants do. 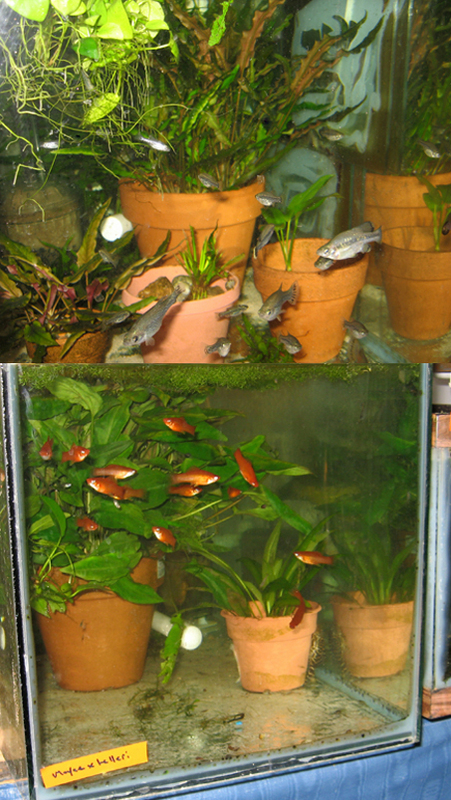 of Anubias, as is being done in this tank of Ameca splendens. Myriophyllum, Ludwigia, and Najas grass. or driftwood could be added to create a beautiful display..
surface is a layer of Riccia, also known as Crystalwort. have many places to hide until I can remove them. without being aware of it. adults are comfortable swimming out in the open.